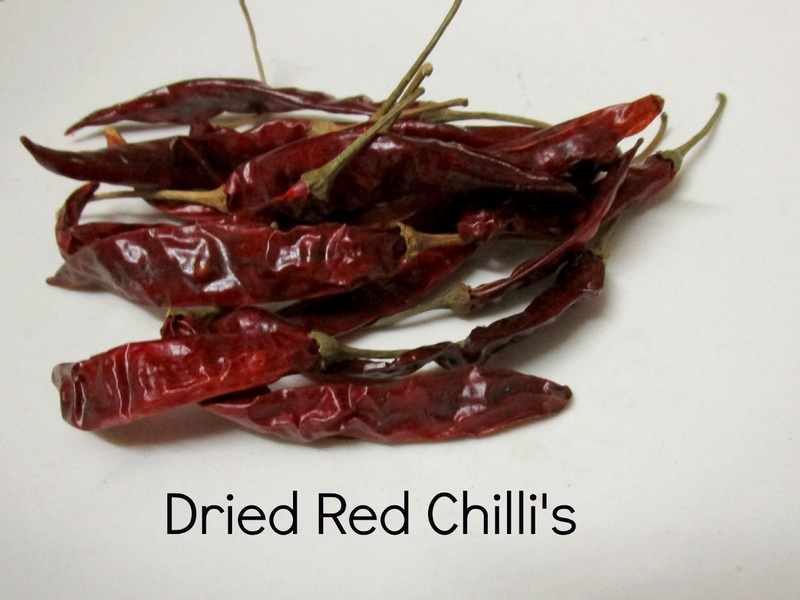 Red chilli paste is used in the recipes such as Chicken 65, Gobi 65 etc which needs red effect . Generally Kashmiri red dried chillies are used in the preparation of this paste, Due to the absence of the Kashmiri Red chillies i've used regular red dried chillies. If you want your red chilli paste to be milder, simply remove the seeds from the chillies as shown in the picture below. 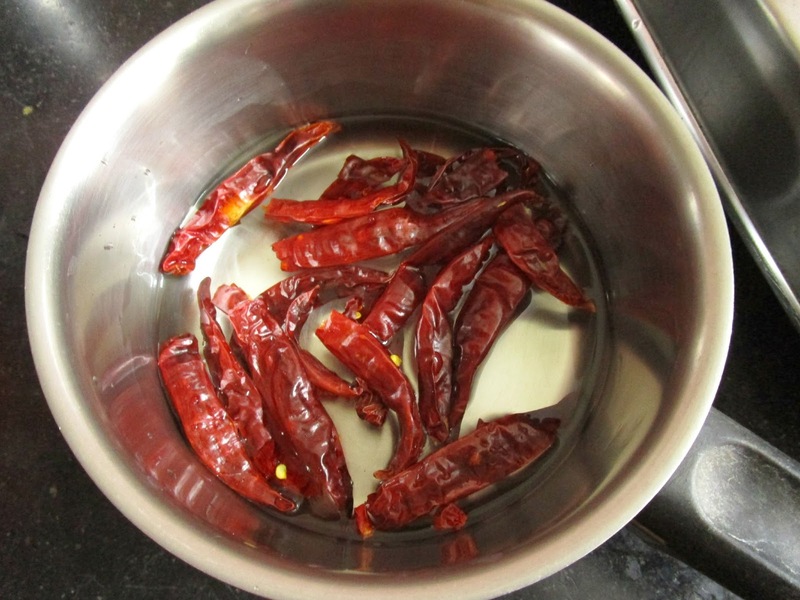 After boiling the chillies , add it to the mixer and grind it into a paste. 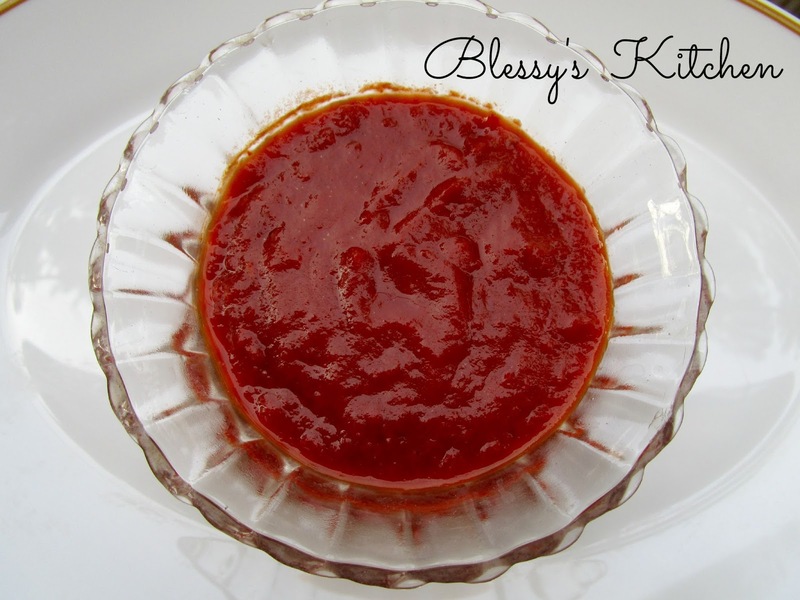 Note : You could add crushed garlic to make it a chilli garlic paste.